The Applied Racing CRF150R Factory Set includes upper and lower clamps, handlebar mounts, bar pad, and required hardware. The double pinch bolt set improves bike performance, with the addition of forty-percent more surface clamping area for less fork flex. 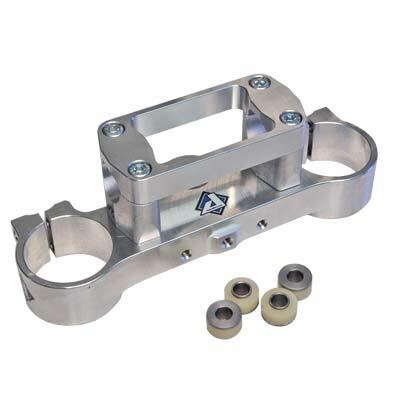 Reversible offset bar mounts allow a far more aggressive bar position, (8mm or 14mm further forward than stock) enabling the rider to transfer weight to the front end with greater ease. 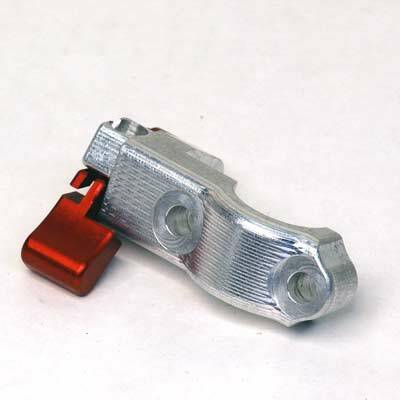 Available for standard or oversized handlebars, with strength many times that of stock clamps, and your choice of Red, Black, or clear anodize. 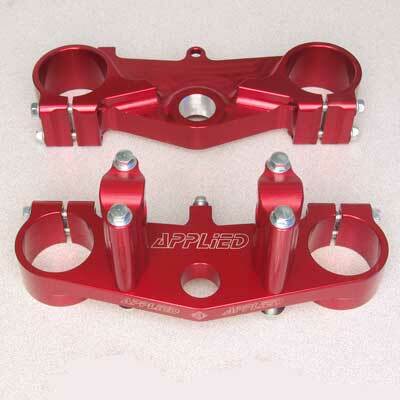 Our 26mm offset clamps are great for all types of riders. Creates Smoothness, stability, and precise control, with no surprises and minimal effort. Made in the USA with a lifetime warranty to the original purchaser!